No matter where she goes, environmental activist Diane Ivy can't seem to escape the toxins emitted from local industrial plants. For nearly 50 years, Ivy lived in the Douglass community, a neighborhood around Hollywood and Chelsea in zip code 38108. Besides hundreds of homes and businesses, Douglass is also home to oleochemicals producer PMC Biogenix (formerly known as Chemtura) on Pope Street and cottonseed oil and meal manufacturer Southern Cotton Oil on Chelsea. When Ivy lived there, the North Memphis chemical plant Velsicol still manufactured chlordane and heptachlor, two chemicals banned for use in the U.S. in the late 1980s. Velsicol continued to manufacture the chemicals, which have been associated with breast, brain, and prostate cancer, for years after the ban for export to other countries. "We used to do protests at Velsicol to let people in our community be aware of what they were doing," Ivy said. In 2001, Ivy moved to an area near Millington. "After I moved there, I realized I was living next to DuPont on Fite Road," Ivy said. "I wasn't even thinking about that when I moved, but it's no more than five to seven minutes from my house." DuPont is a manufacturer of what the company calls "building block products" such as cyanide for making plastics for car taillights and bus windows and oxyone for use in disinfectants. Ivy's concerns are well founded. Companies in her current neighborhood and the Douglass community are ranked in the local Sierra Club's recently released "2010 Terrible Ten" report, a list of the worst industrial polluters in the county. Another cluster of industries on Presidents Island and the Riverport Road area near T.O. Fuller State Park are also on the list. The report is based on the 2008 Toxics Release Inventory data, the most recent figures available. Although the report notes that all 10 industries have proper permits from the Environmental Protection Agency, it points out that the industries are emitting substances classified as toxic by the EPA. Scientific studies have shown these chemicals pose a threat to human health and the environment. Most of the industries on the list are located in predominantly low-income or African-American neighborhoods, which is why the Sierra Club Chickasaw Group environmental justice coordinator, Rita Harris, has taken on the responsibility of compiling the annual list. 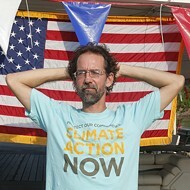 "The most active polluters are located in majority people-of-color and majority low-income neighborhoods," Harris said. "There are a large number on Presidents Island and in the downtown area, as well as on Fite Road. In the Chelsea area, the factories are sitting on top of one another." Five of the 10 companies on the Terrible Ten list are located on Presidents Island and the nearby Riverport Road area, just a few minutes from T.O. Fuller State Park, the C.H. Nash Museum at Chucalissa, and the heavily populated Riverview-Kansas community. 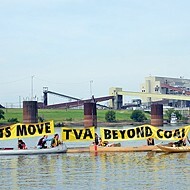 The Tennessee Valley Authority's Allen Fossil Plant, a coal-fired power station on Plant Road that produces electricity for the TVA's seven-state region, tops the list with emissions of more than 1.3 million pounds of pollutants in 2008. 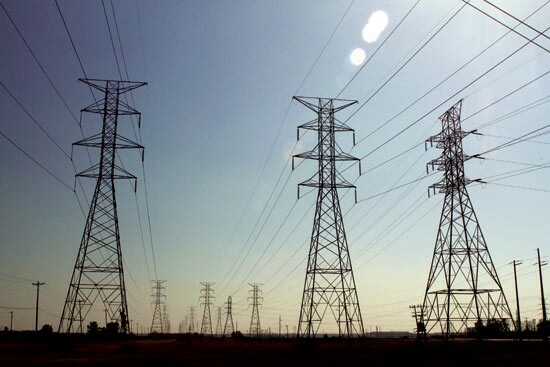 Memphis Light, Gas & Water purchases power from TVA. "They're always on the top because of their massive output," Harris said. "And we're all a party to this, because we all use electricity. In fact, we probably all use products from these companies [on the list] in some way." Some of the substances emitted from the Allen plant have serious health risks, such as birth defects, miscarriages, respiratory problems, and cancer. The plant was constructed in 1959, but TVA upgrades equipment to reduce environmental impact as much as possible. 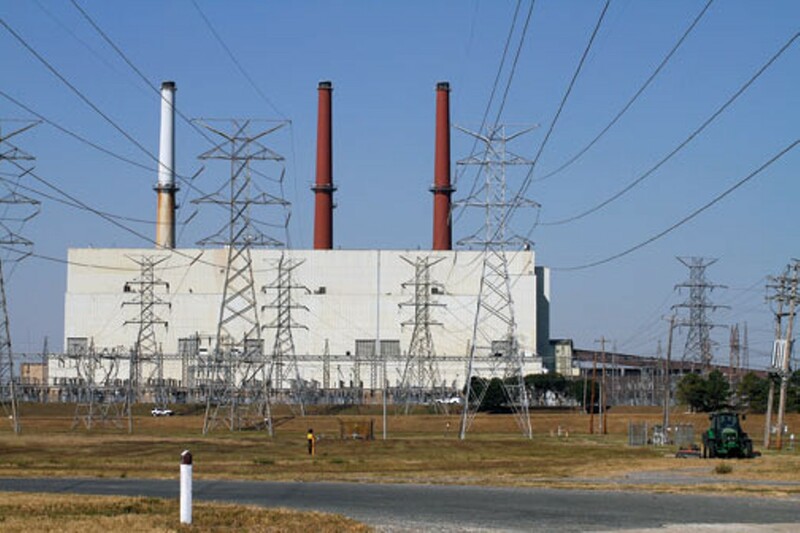 "TVA has spent more than $5.3 billion since 1977 to install emissions controls on its coal-fired plants, including Allen," said TVA spokesperson Scott Brooks. "TVA sulfur dioxide emissions are 84 percent below their 1977 peak, and nitrogen dioxide emissions during the summer, when ozone levels increase, are down 82 percent from 1995 levels." According to Brooks, coal accounted for 46 percent of the power supply in 2009. TVA officials held a public meeting in Olive Branch, Mississippi, last week to discuss the future of energy production, and representatives stated that TVA does plan to idle some of its coal capacity but offered no word on whether the Allen plant would be included. Future plans for TVA electricity production will rely more on nuclear power and renewable resources, such as wind and solar power. But Harris and other Sierra Club members at the meeting say the energy company's plans rely too heavily on nuclear power and not enough on renewables resources. "When you look at uranium mining and the transport of waste associated with nuclear power, its safety isn't so clear," Harris told TVA officials at the meeting. Just down the road from the TVA plant sits the ninth worst polluter, Fleishmann's Yeast, which emitted more than 50,000 pounds of acetaldehyde in 2008, a toxin associated with harming the brain, spinal cord, or nerves. Fleishmann's did not respond to requests for comment. On nearby Mallory Avenue, number seven polluter Valero Refinery emitted more than 137,000 pounds of pollutants in 2008. Health effects from those substances are related to nervous system problems affecting the skin and sensory organs and carcinogens. To counter the pollution, Valero's community relations spokesperson Lisa Wheeler said the Memphis refinery has volunteered over 3,000 hours of support to community service projects ranging from benefit golf tournaments and food drives to a community advisory panel designed to bridge communication between Valero and the residents of the nearby Riverview-Kansas neighborhood. "We had a lot of problems with the refinery when Mapco was over there, but some of those have been resolved since Valero took over the refinery," said the Rev. Ralph White of Bloomfield Baptist Church in the Riverview-Kansas neighborhood. "We still keep a close watch on the refinery." On highly-industrial Presidents Island, two facilities made the list. Cargill, a maker of high-fructose corn syrup, animal feed, and corn oil, came in at number three. The plant on Buoy Street is responsible for emitting more than 540,000 pounds of pollutants associated with health risks to reproductive systems, liver and kidney disease, and cancer. 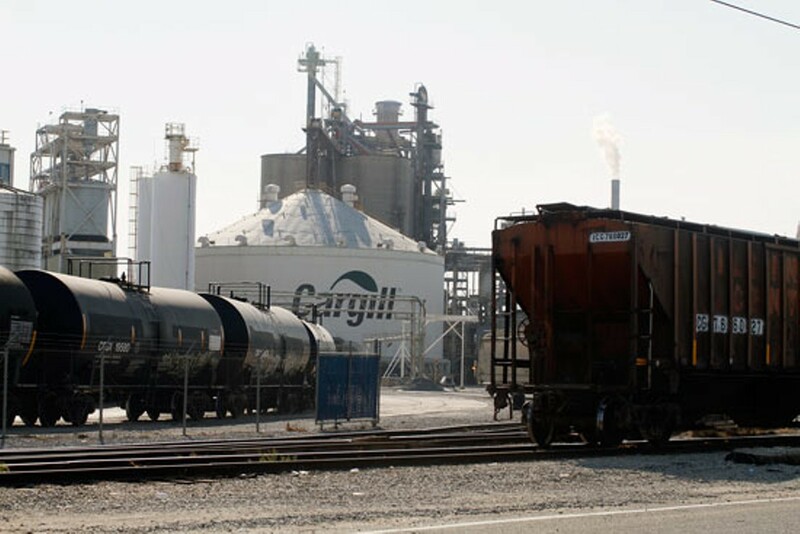 Spokesperson Susan Eich said Cargill did make some environmental improvements in response to the Sierra Club's 2008 Terrible Ten report. Those include reducing emissions by more than 30 percent, installing pollution control equipment, and replacing some hazardous substances used in corn oil production with less harmful ones. Eich said the company plans to further reduce emissions by 2013 by installing more pollution control equipment. Sonoco Phillips on Presidents Island, a manufacturer of industrial and consumer packaging, came in at number 10 with more than 33,000 pounds of pollutants released in 2008, including substances that can cause birth defects, nervous system problems, and cancer. Sonoco Phillips did not respond to queries by press time. Hundreds of residents live just miles from these companies in the nearby Riverview-Kansas and French Fort neighborhoods. White has acted as an environmental crusader to spread the word about potential health risks posed by these and other toxic industries in the area. "There are 40 to 50 factories on Presidents Island, and many of them emit toxins into the air, ground, and water. There are families that live in the area, and there have long been reports of individuals suffering from various breathing defects and high rates of cancer and heart problems," White said. "It's been an ongoing issue, because these companies are tax bases for the city. I don't think they're going anywhere." 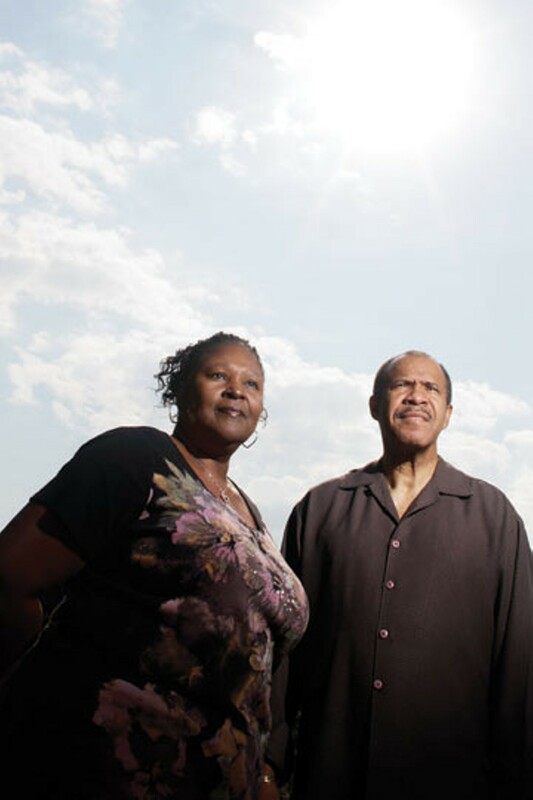 In 2005, White led residents in a battle with R.A.C.E., a radioactive waste management company on Presidents Island that had plans for purchasing a waste incinerator. The residents won that fight when the Memphis City Council voted not to allow the company to build the incinerator. R.A.C.E. did not make the 2010 Terrible Ten list. In an unrelated case earlier this year, R.A.C.E. agreed to pay $650,000 to settle claims that it subjected African-American workers to higher levels of radiation than white workers. Such practices, as well as the placement of toxic industries in predominantly African-American neighborhoods, are often referred to as "environmental racism" or "environmental justice." "These companies are built in areas where minorities live, and that's not unique to Memphis," White said. "The people in these communities feel disenfranchised, because they can't afford an attorney and their leaders aren't listening to them. Sad to say, many are influenced by people who have deeper pockets." Both White and Harris have noticed that people who live near chemical plants seem to experience more health problems than people in neighborhoods without polluting industry. "In the French Fort neighborhood, there have been countless numbers of people who appeared to be healthy but died of heart attacks, cancer, and so on," White said. "They're just a stone's throw from Presidents Island and downwind or upwind of all these companies emitting toxins into the air." "People in these communities often complain that they have a lot of deaths, and they attribute it to industry," Harris said. "It's not just cancer but numerous things, including infant mortality. They talk about infant mortality all the time in relation to the 38108 area. That's the Douglass community, where they have eight polluting facilities." Ivy said she has several friends who were former employees of Velsicol, and many of them experienced health problems later in life. "A lot of the people I knew who worked at those plants have passed from cancer," Ivy said. "I know a guy right now that's in the hospital who used to work at Velsicol. He's had a lot of surgeries and he's totally blind now, but he's only in his early 60s." Though she can't prove a connection between her friends' health problems and the chemical plant, she believes the two are related. In 2006, Church of God in Christ pastor David Allen Hall filed a class-action lawsuit tying infant mortality in the Cypress Creek area of North Memphis to pollution by Velsicol. "When you look at those infant mortality rates, they're higher in some places than in Third World countries," Hall said. "That says to me there's got to be some outside stimulus working here." Attorney Javier Bailey, who handled the suit, said they're still pushing the claim for personal injury, but getting the information and proof together has been, according to Bailey, "an enormous task." Proving the connection between contaminants and health problems can indeed be difficult. The Shelby County Health Department had that problem when it did a cancer incidence review in the Cypress Creek area in 2005 in relation to contaminated soil. Nothing was proven showing a connection between the chemical contaminant in that area and cancer, according to Shelby County Health Department epidemiologist Jennifer Kmet. "There are so many types of cancer, and one in three Americans will develop some form of cancer," Kmet said. "So many other things can cause cancer other than pollution, like diet, tobacco, alcohol, sunlight, heredity. Trying to actually establish a link is difficult." Harris is all too familiar with such responses from government agencies. "When you bring this issue up with government regulators and agencies, they'll say that disease is caused by African Americans' lifestyle," Harris said. "It's because we're eating too many neck bones and pig's feet, but it's not just that." While the Terrible Ten industries on Presidents Island are situated several miles from the nearest neighborhoods, the worst polluters in North Memphis are situated in the middle of heavily populated communities. PMC Biogenix, number two on the Terrible Ten list, is located on Pope Street in the Douglass community. The oleochemical manufacturer produces fatty acids and glycerin approved for pharmaceutical applications. It's the only producer of primary amides for plastics additives in North America. 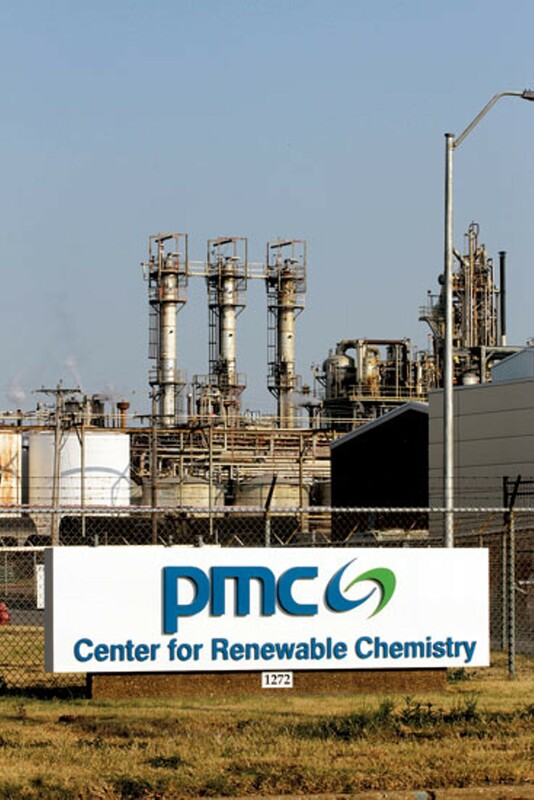 In 2008, PMC emitted more than 1 million pounds of chemical substances: ammonia, ethylene glycol, and methanol. Some of these chemicals can cause death from short exposure. PMC did not respond to requests for comment. A few blocks away, the number eight worst polluter, Southern Cotton Oil (owned by Archer Daniels Midland), is squeezed between small businesses along Chelsea Avenue. The company converts cottonseed into cottonseed oil and meal by use of commercial hexane. In 2008, 134,000 pounds of the chemical were emitted into the air at the Southern Cotton Oil facility. Exposure can cause birth defects and nervous system damage. But Archer Daniels Midland spokesperson Roman Blahoski says the company reuses as much hexane as possible. "We remove hexane from the oil and reuse it," Blahoski said. "We currently reuse more than 99 percent of this hexane. We continually review our processes in pursuit of additional ways to further reduce the environmental impact of our operations." Now that she's no longer living in the Douglass community, Ivy said there's not a lot of activism work around the pollution in her old neighborhood. During the worst days of Velsicol's pollution, Ivy and her pastor, Balinda Moore of River of New Life Holiness Church, held protests. "I think the people who live in Douglass now are less aware of the problems because the activism is not there," Ivy said. "There's a whole new generation, and they're not even thinking about chemical plants." 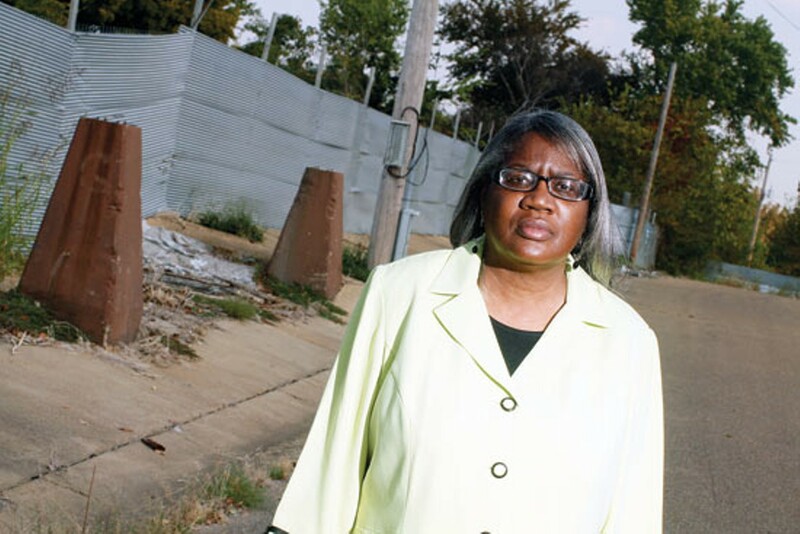 Ivy now lives a few minutes from two other Terrible Ten polluters on Fite Road — Lucite International and the DuPont Memphis Plant — but she hasn't kept up her activism since the move. "There's really no activism in my area. It's quiet, but I got quiet too," Ivy said. Lucite makes acrylic-based products used in everything from baths and spas to light boxes. The Memphis facility, which emitted more than 390,000 pounds of pollutants in 2008, makes methyl methacrylate and acrylic cast sheets. The pollutants released from the facility may cause reproductive and respiratory problems, cancer, and liver or kidney disease. According to Lucite spokesperson Hannah Sloane, the company has reduced its annual rate for emissions by more than 50 percent since 2005. She said the company also uses a fuel-blending process that recycles and converts energy. DuPont site environmental coordinator Greg Zweig said the company has taken steps to reduce emissions, resulting in an 81 percent emissions decrease since it began reporting to the Toxics Release Inventory in 1987. Company officials also meet regularly with local community improvement group People of Woodstock to provide industry updates. In an interesting turn of events, the second worst polluter on last year's Terrible Ten list — Quebecor — was bumped down to position five in the latest report. That's because the company closed its Holmes Road facility in 2009, and Harris believes the company had already slowed production when the 2008 data (for the 2010 report) was gathered. The printing company emitted more than 350,000 pounds in 2008, compared with more than 1.1 million pounds in 2007. "Quebecor was a problem for many, many years, and they were in an interesting area on Holmes Road and Elvis Presley," Harris said. "That's not a ghetto. It's an upper-middle-class, African-American community." Harris said the Terrible Ten report is intended to be used as a tool for awareness: "We want people to understand that air pollution is a problem. If people don't fall dead immediately just because they're living across the street from a plant, sometimes people don't understand that there's a problem." 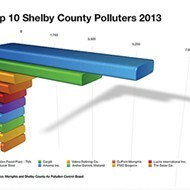 According to Jim Holt, assistant manager of pollution control for the Shelby County Health Department, only about 20 to 30 percent of ozone-causing emissions come from industry. The rest is attributed to transportation. Harris wants residents in communities around polluting industry to be aware of their surroundings, and she hopes companies will use the report as a catalyst to continue improving their environmental programs. "We're not trying to shut any company down, but we do want them to understand the impact they're having on the neighboring communities," Harris said. "We want companies to try and see the communities' side of things."